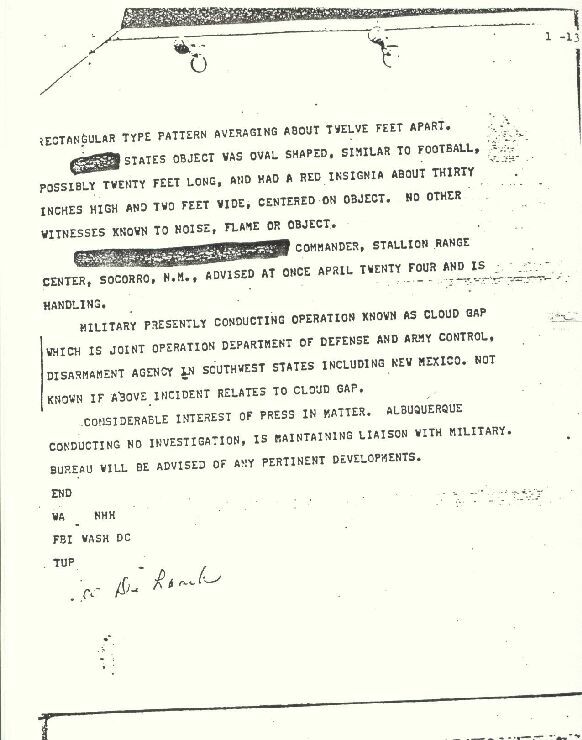 Click here for Rob Mercer's Document Archive - "From the Desks of Project Blue Book"
The National Archives of Australia holds a number of records relating to unidentified flying objects (UFOs), flying saucers and other unidentified aerial sightings. Most of these records date from the 1950s, 1960s and 1970s, when public interest in UFOs was high and many sightings were reported to Commonwealth authorities. There was no specific government agency responsible for the collecting and analysing of these sightings, so responsibility fell on the Department of Air. The Department collected reports from defence force members, pilots and air traffic controllers, meteorologists and the general public. 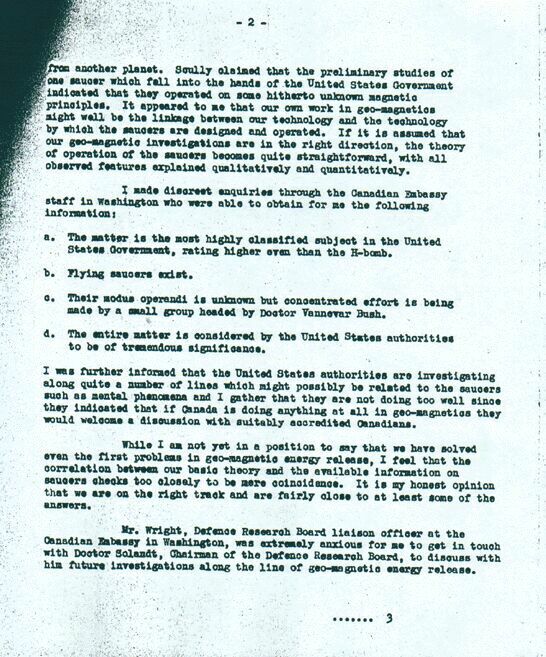 During the peak of interest in UFOs, the department investigated some reports, trying to establish whether the sightings could be attributed to low flying aircraft, weather balloons or meteorological phenomena. 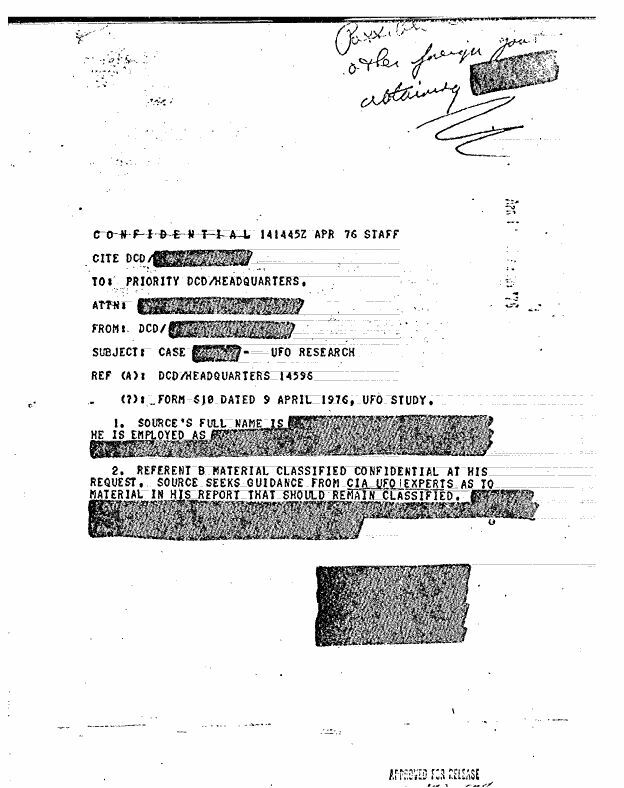 Below is a selection of over 10,000 records in the Archives' collection that relates to UFOs. To find further records of interest, you can search the collection. 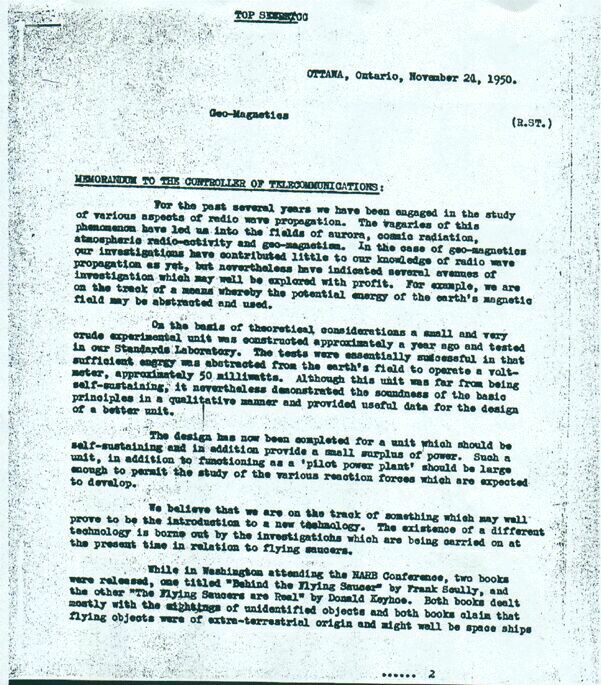 The following list of documents is a sampling of 8,759 UFO files retrieved from the National Archives of Canada. I have in my possession five 16mm microfilm reels which I purchased from the National Archives back in the early 1990s, and contains an even greater number of documents, including the very same ones that are available here. This list of Canadian CIRVIS documents, which were provided to me by a fellow researcher in British Columbia who obtained them through Canada's Access to Information Law. CIRVIS stands for Communications Instructions Reporting Vital Intelligence Sightings. 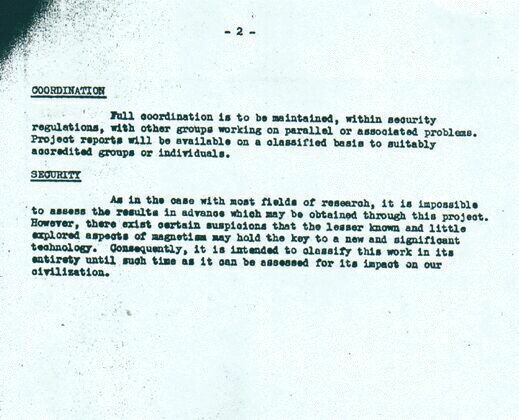 These documents were obtained from the files of the late Wilbert B. Smith, Senior Radio Engineer for the Department of Transport in Ottawa. 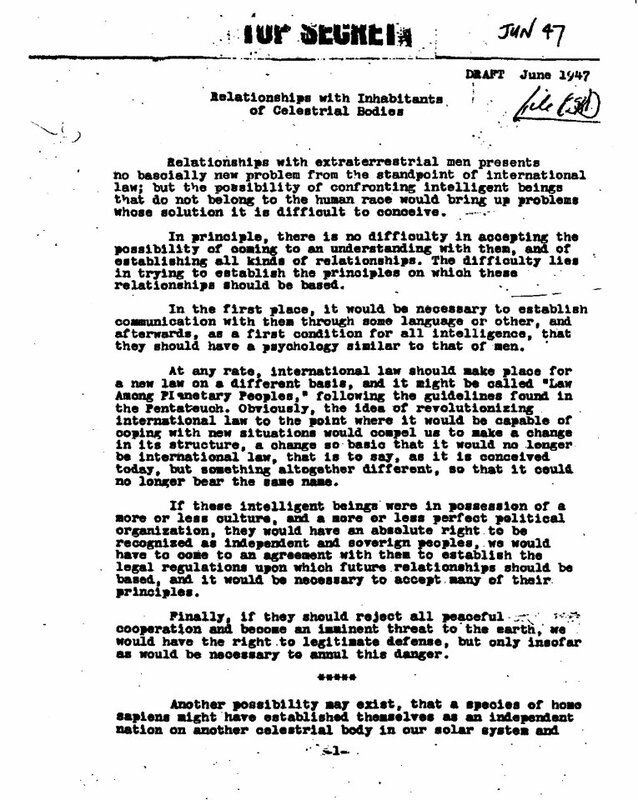 This is the original draft he wrote in November 1950. Find out more about close encounters, stray satellites, bright lights and Britain's very own Roswell - Rendlesham Forest in Suffolk. Start by reading the highlights guide (PDF, 254kb) to help you navigate your way through the files. Find out more about the House of Lords debate on UFOs, a flying saucer hoax that was treated as a potentially real alien invasion of the UK and how 1978 nearly became 'the year of the UFO'. Start by reading our highlights guide (PDF, 397kb) to help you navigate your way through the files. Due to the large size of some of these files, I recommend you save them to your PC before opening them. Please right click on the links and select the save option. 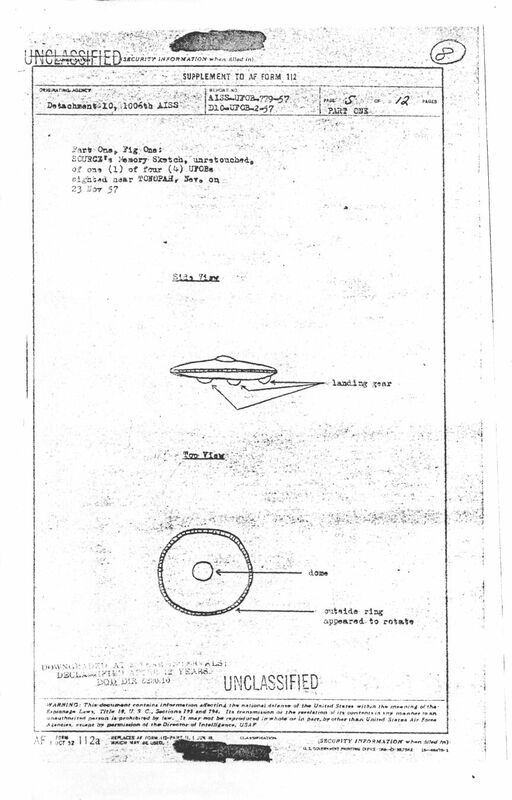 Read eyewitness accounts of UFO sightings, see the picture of a flying saucer which was sent for analysis by defence experts and discover the bizarre story of Mork and Mindy's' visit to East Dulwich. Start by reading the highlights guide (PDF, 397kb) to help you navigate your way through the files released in August 2011. Due to the large size of some of these files, I recommend you save them to your PC before opening them. Please right click on the links and select the save option. 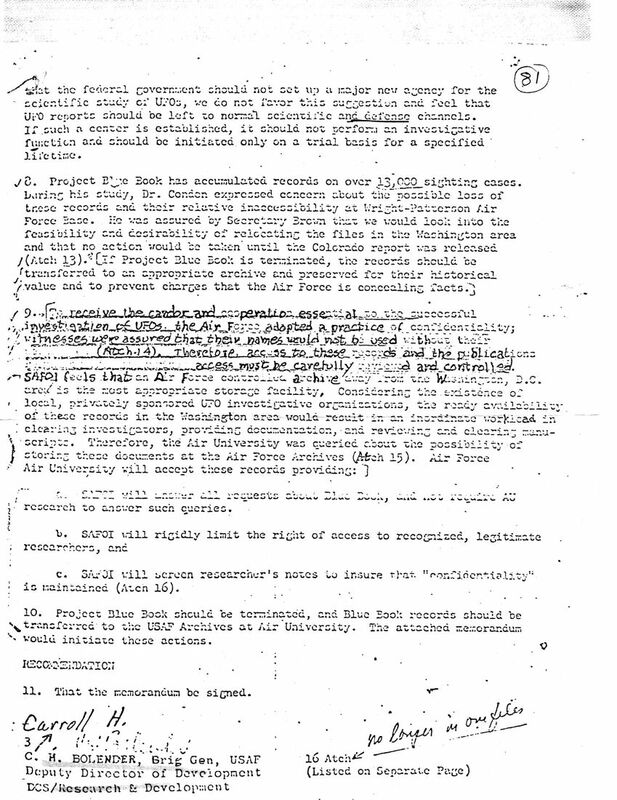 weapon, and their briefings to Tony Blair on UFO policy. 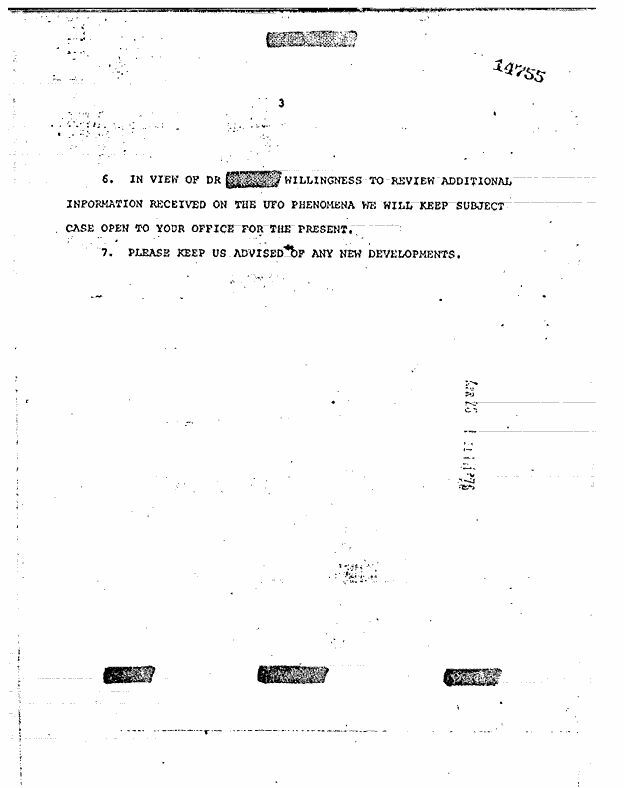 The final tranche of UFO files released by The National Archives contain a wide range of UFO-related documents, drawings, letters, and photos and parliamentary questions covering the final two years of the Ministry of Defence's UFO Desk (from late 2007 until November 2009). 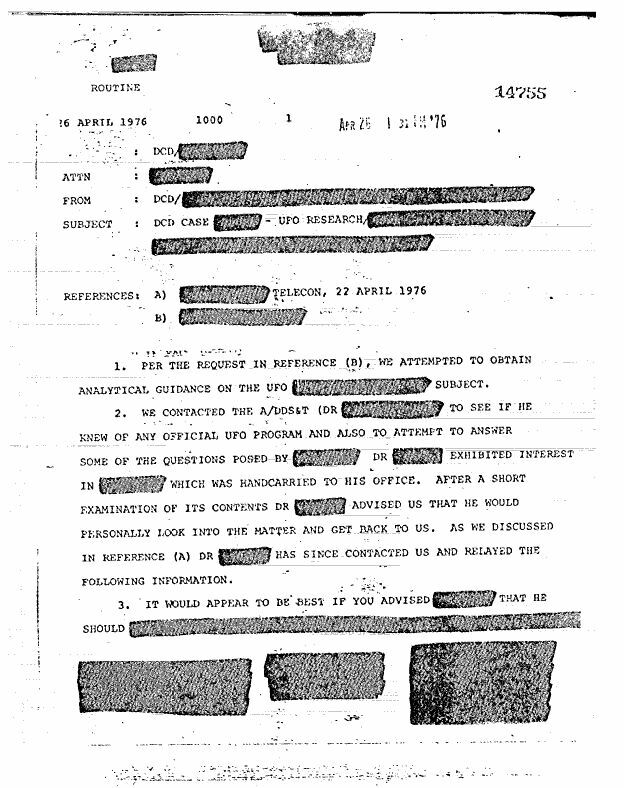 Discover the reasons behind the closure of the UFO desk, the handling of the largest number of UFO sighting reports received in 30 years and the disclosure campaign for the truth, which was sparked by the closure of the UFO Desk. 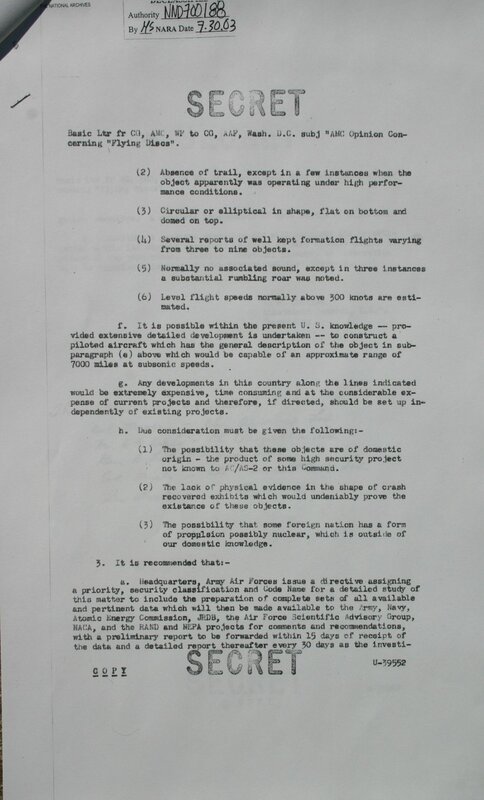 During a policy review in 1996 into the handling of Unidentified Aerial Phenomena sighting reports received by the Ministry of Defence, a study was undertaken to determine the potential value, if any, of such reports to Defence Intelligence. Consistent with Ministry of Defence policy, the available data was studied principally to ascertain whether there is any evidence of a threat to the UK, and secondly, should the opportunity arise, to identify any potential military technologies of interest. The Findings and Recommendations are contained in this Executive Summary. The Main Report (Volume 1) describes the Background, Methodology used, the Data Base and the Statistical Analysis. Volume 2 - Supporting Technical Point Papers covering topics relevant to an undersanding of the phenomena. the context of potential military applications and an assessment of UAP as potential hazards to aircraft. 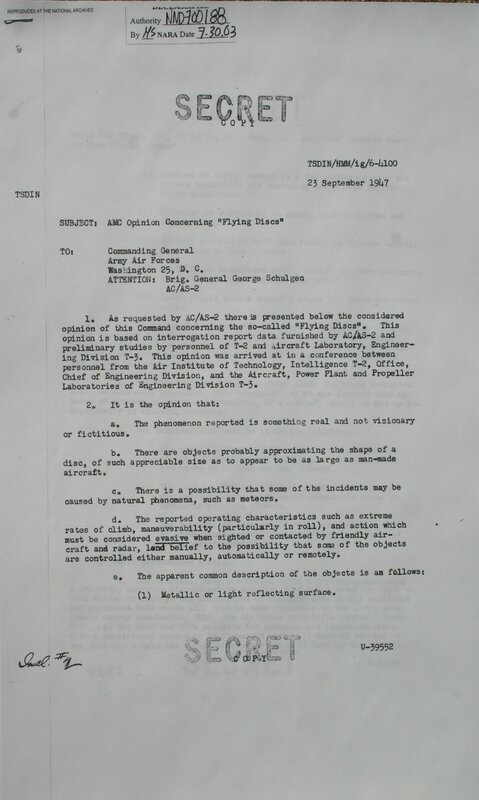 This letter was sent out from Air Material Commands (AMC) in response to a request from Brig General Schulgen. As a result of the opinions expressed by Twining, Gen Schulgen issued his now famous Collection Memorandum. Gen. Twining requested that investigations be conducted that might shed some light on the recent rash of Flying Saucer sightings. In response to the Schugen Collection Memorandum, The Walker Memo was sent to see what field offices could find. 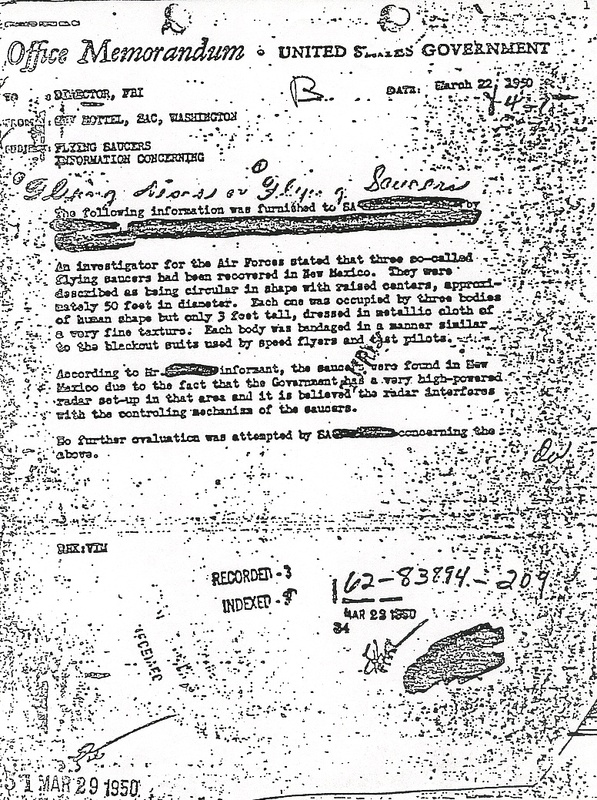 Some proponents view this letter as proof that the Air Force knows that extraterrestrial UFOs exist. 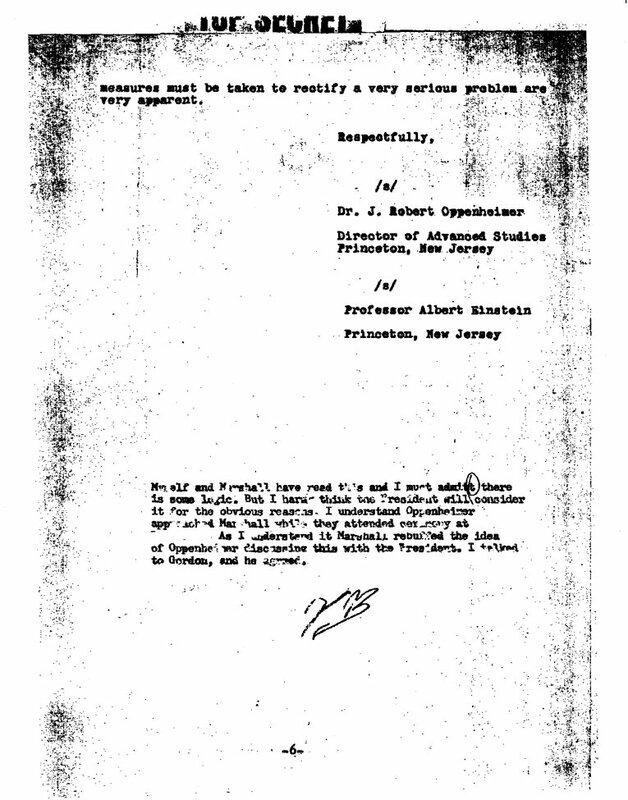 The closest the the letter comes to considering alien origin is the opinion that [there is] "The possibility that some foreign nation has a form of propulsion possibly nuclear, which is outside of our domestic knowledge." 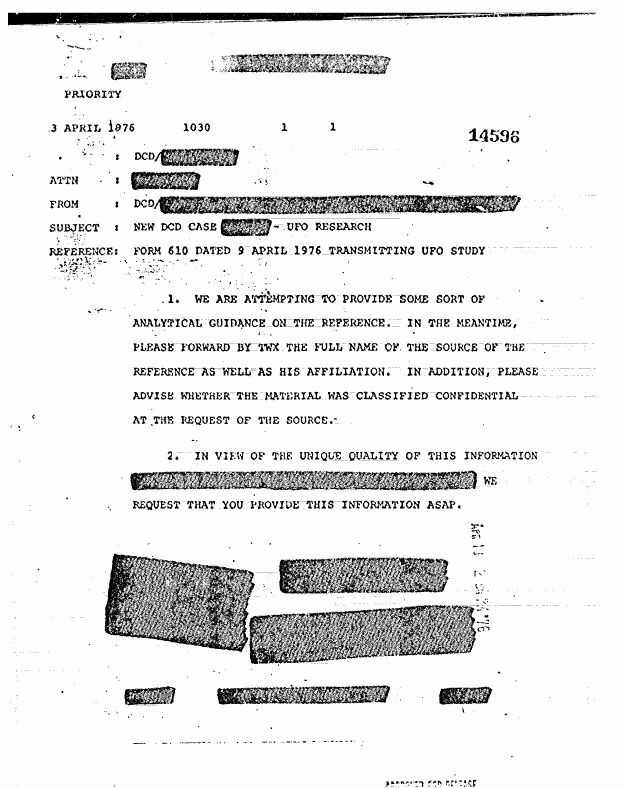 However, the proponents tend to ignore, or dismiss as an "obvious lie" dictated by the Super Secret Roswell Conspiracy, the instruction that his commanders should consider: "The lack of physical evidence in the shape of crash recovered exhibits which would undeniably prove the existence of these objects." 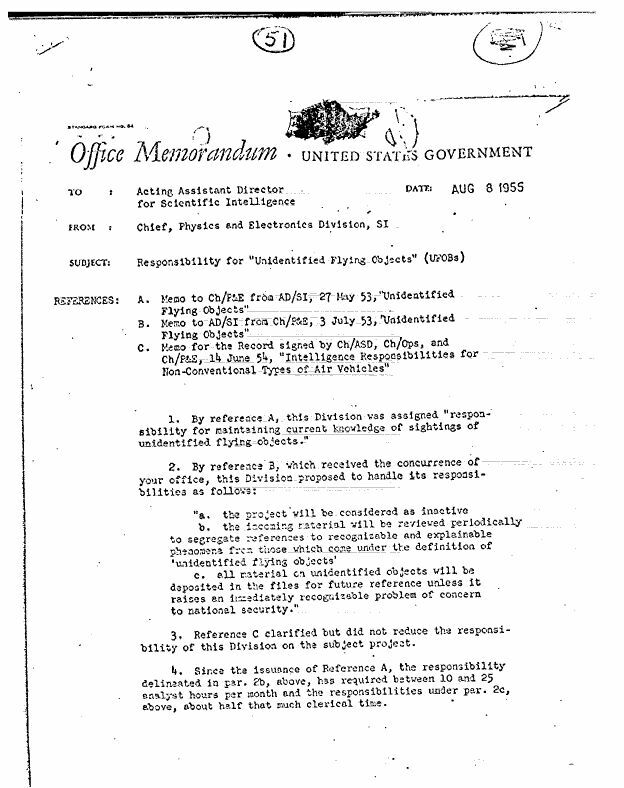 ANALYSIS OF FLYING OBJECT INCIDENTS IN THE U.S.
but actually continued on in a very minimal capacity until late 1951. The following documents were obtained from several sources, including the Federal Bureau of Investigation (FBI), the Central Intelligence Agency (CIA), the National Security Agency (NSA) and the Defense Intelligence Agency (DIA). 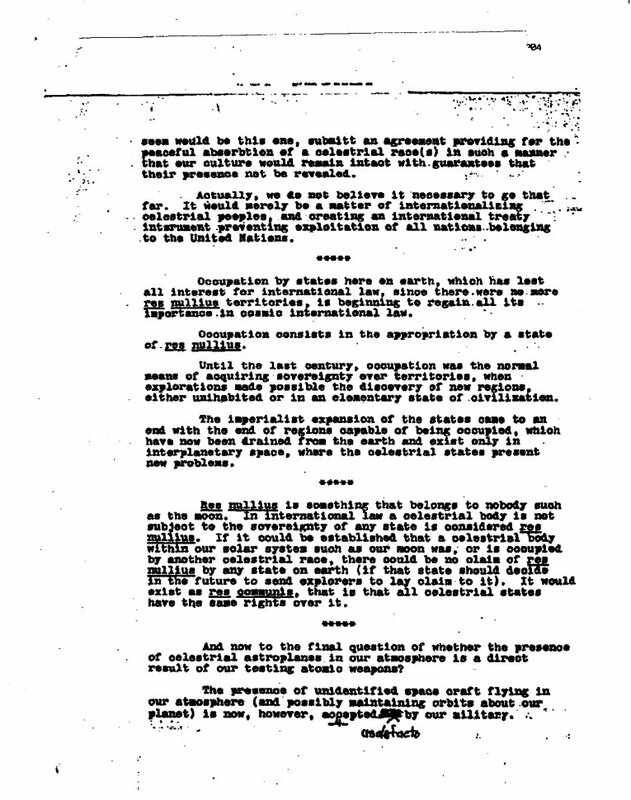 These UFO documents were released under The Freedom Of Information Act or FOIA. 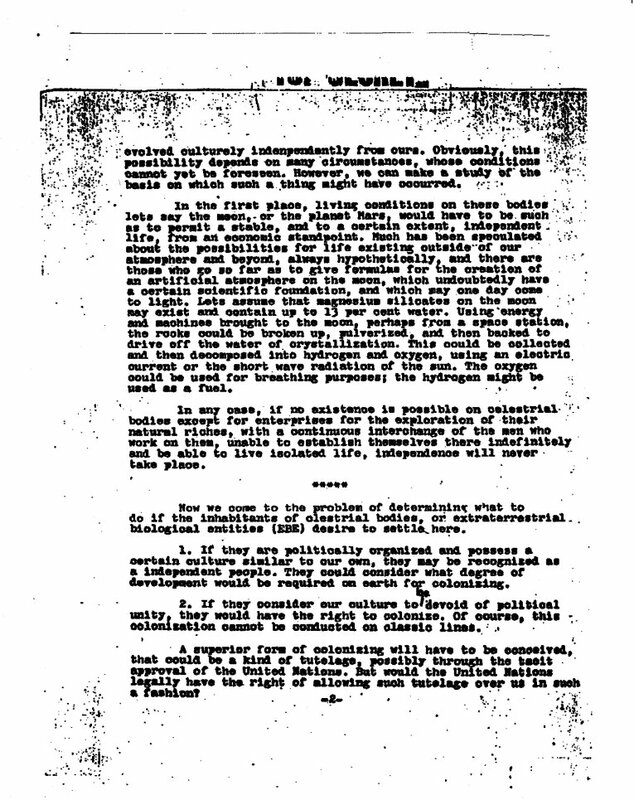 Robert Todd obtained the release of the Bolender memo in January 1979. 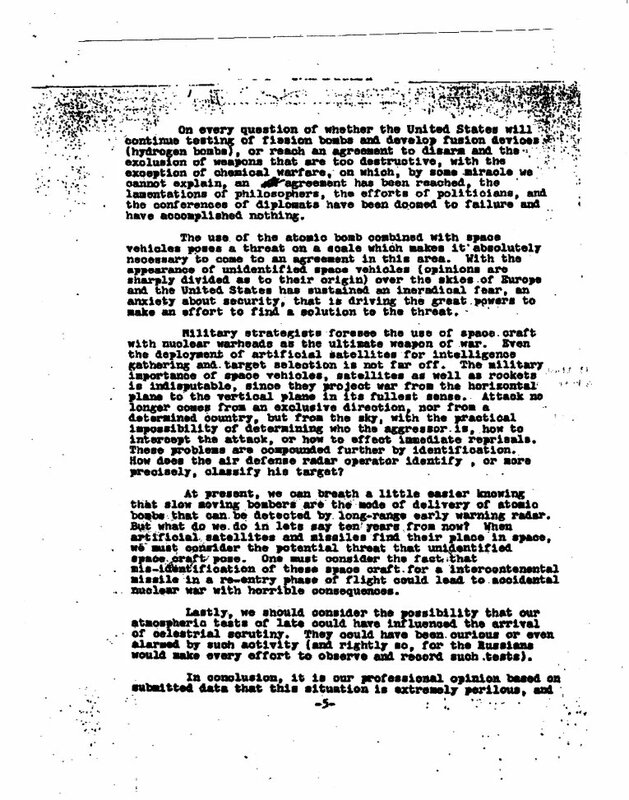 The implications of this memo, issued in order to justify the shutdown of Project Blue Book, is clear, and is found on page 2: "... reports of unidentified flying objects which could affect national security are made in accordance with JANAP 146 or Air Force Manual 55-11, and are not part of the Blue Book system." 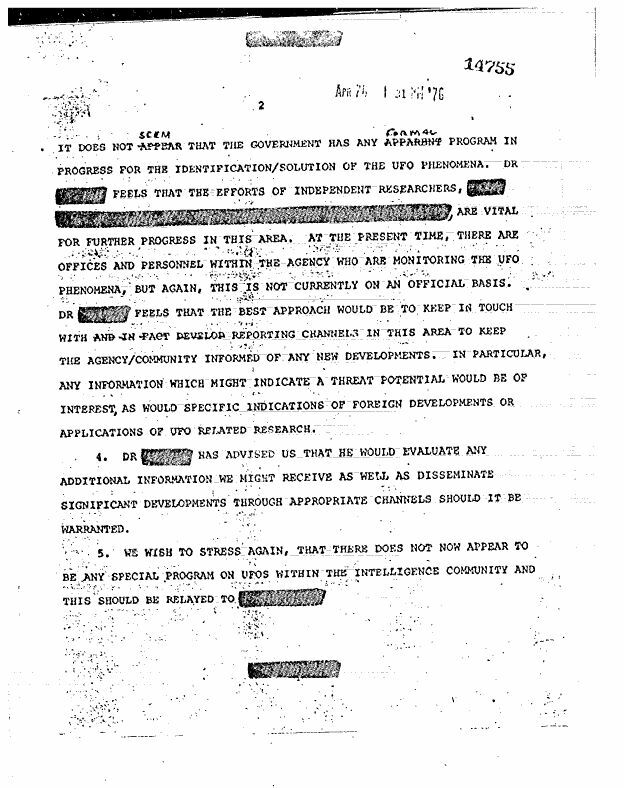 Similar statements about UFO reports bypassing the BB system were made in AF documents going back to 1958-61, when similar efforts to justify closure of BB were made then. In an interview on March 16, 2000, retired BB chief Col. Robert J. 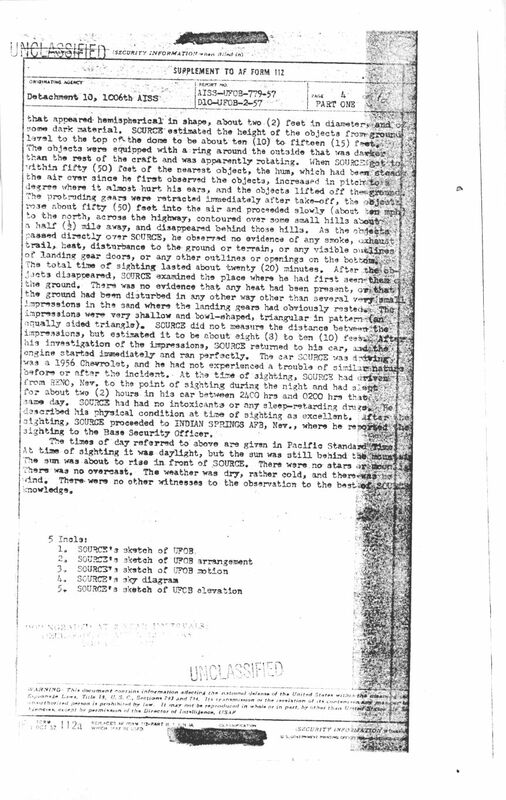 Friend told me that he knew there were classified intelligence channels for reporting UFO's that completely bypassed BB and he knew of specific UFO cases involving classified sensor systems that were reported that way and never went to him at BB. 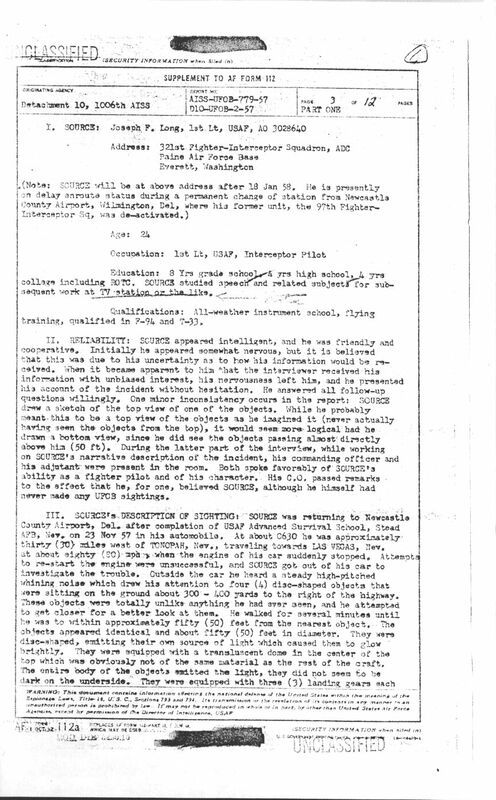 UFO's were reported to the AF operational commands in accordance the AF's Operational Reporting system, AFOREP, under AF Manual 55-11 of 1965 and predecessors, and this supplanted the UFO reporting directives that had sent UFO reports to BB. 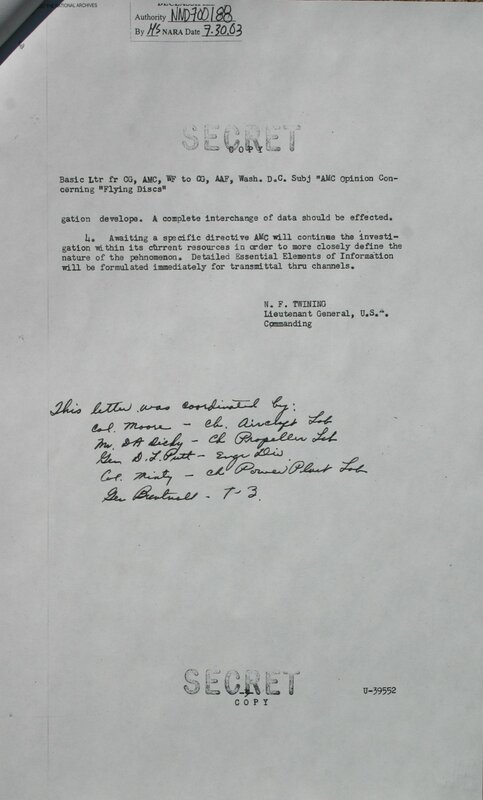 However, even the AFOREP system was bypassed when classified sensor systems and missions were involved, as AFM 55-11 itself indicated in paragraph 3-1-C: "Provisions of the AFOREP [AF Operational Reporting system] are not intended to abrogate major command systems employing advanced automated, online procedures." 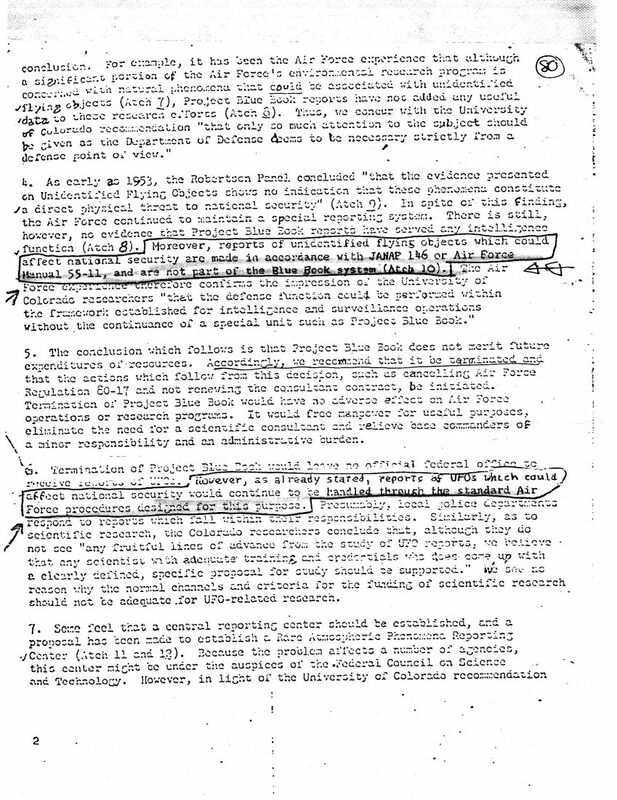 The memo also stated that, "After an extensive study of this (Condon Report) report as well as the review of the report by a panel of the National Academy of Sciences, past studies, Project Blue Book operations and other inputs, the Office of Aerospace Research concluded, and we agree, that the continuation of Project Blue Book cannot be justified, either on the ground of national security or in the interest of science." 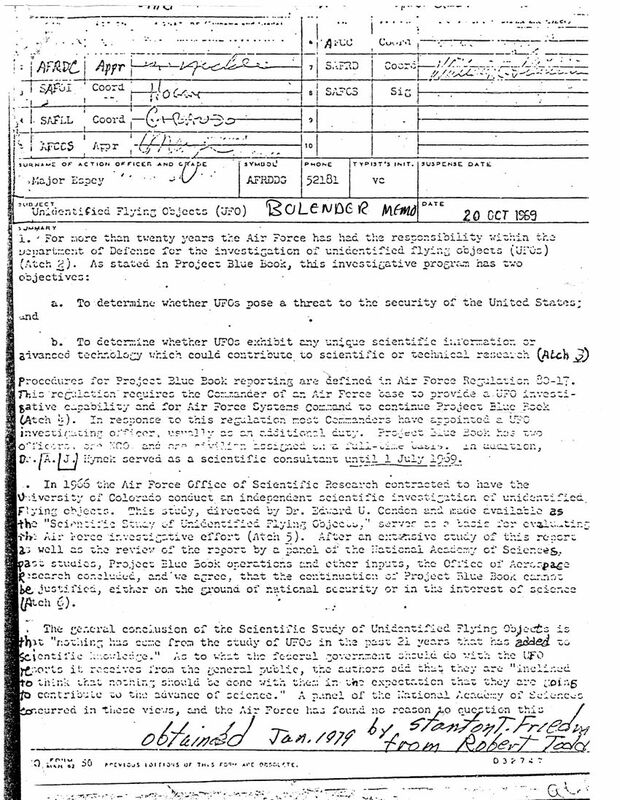 Not only had the AF's operational reporting procedures bypassed BB already, as mentioned above, but a highly classified AF global sensor system which Gen. Bolender was heavily involved in was about to go operational in 1969-70. 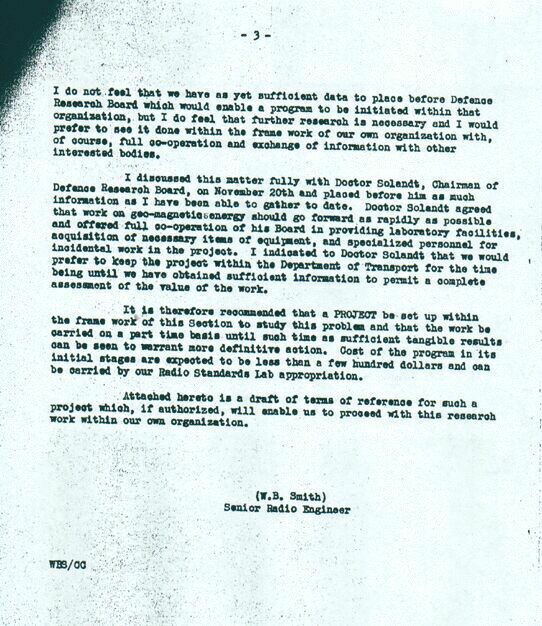 This imminent development finally allowed the AF to be able to close down its PR headache Project BB without worrying that some important intelligence data were being lost. 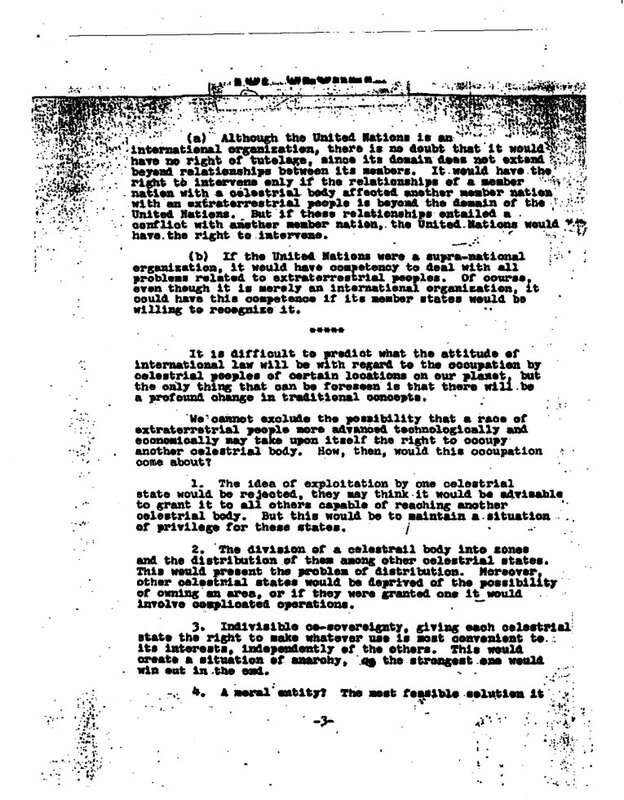 The system had long been planned since 1952 as the means to completely replace Project BB with a quantum leap forward into the 21st century with scientific sensor data on UFO's covering the entire earth 24/7 taking the place of unreliable, hit-or-miss anecdotal UFO stories coming from relatively few and very limited scattered locations. But the Top Secret system had run into numerous technical and budgetary obstacles which delayed its initial operational capability for many years, thus giving BB reprieves from closure in the late 50's and early 60's. 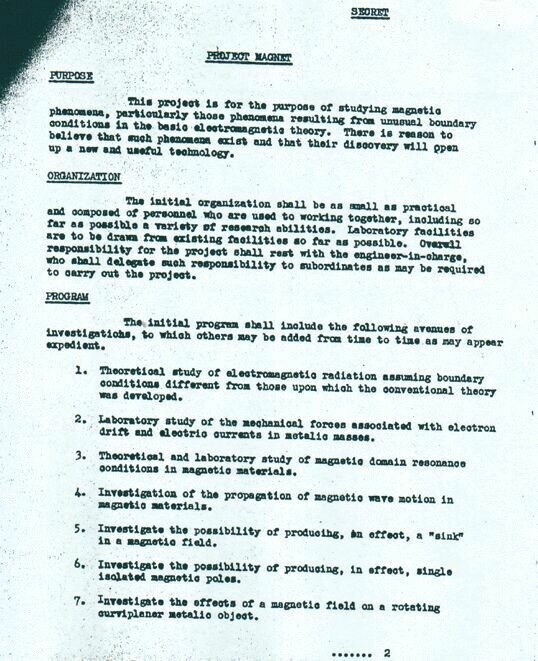 There were 16 Attachments to the Bolender Memo. Bob Todd spent years trying to get the AF to find and release them, but the AF totally stonewalled him. Several of the 16 Attachments are already known separately and had been released long before, but several are unknown and not released, several more are not described well enough to identify. of course, secret. The documents were left in a barn which may have belonged to a Douglas employee who died or moved. A specialized aspect of the U.S. Air Forces over-all material of the exploitation program to locate, recover, and deliver descended foreign space vehicles. 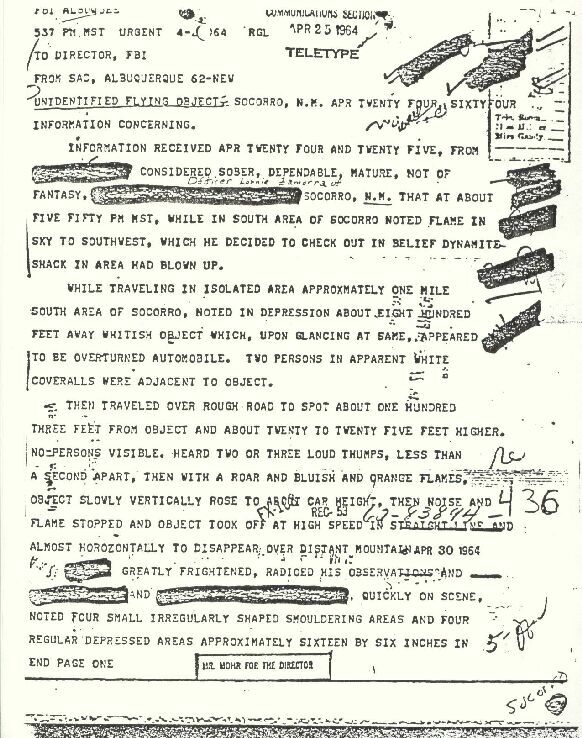 The following set of documents were provided to me by George Knapp, investigative journalist and news anchor at KLAS-TV in Las Vegas. 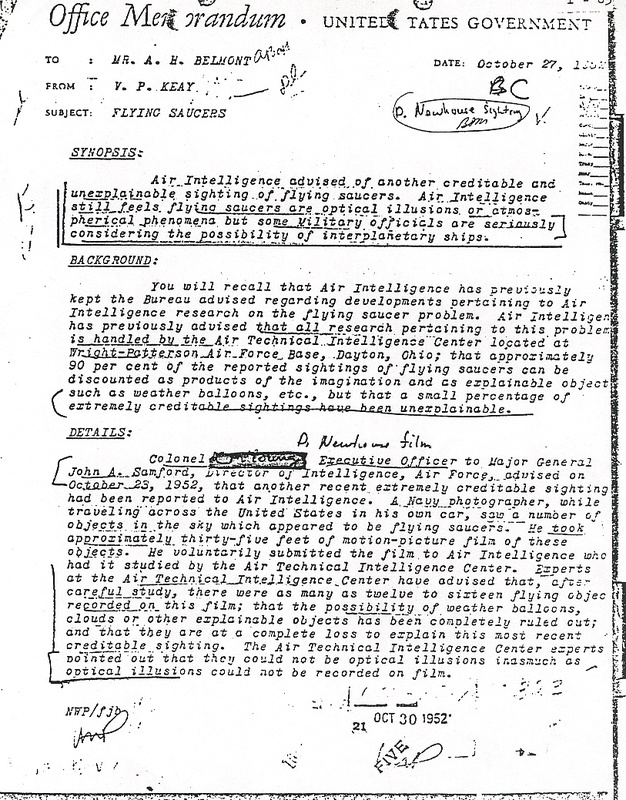 Included are three pages of documents pertaining to the 1979 Iranian Jet case, three pages concerning the 1989-1990 Belgian UFO flap and three pages from Russia's Ministry of Defense. and Theodore C. Loder III, Ph.D. Correction: on page 9, in the last paragraph, the correct month and year for the Coyne encounter is October 1973, not December 1978.
by Richard F. Haines, Ph.D.
George E. Onet, DVM, Ph.D.
George E. Onet, DVM, Ph.D., Colm Kelleher, Ph.D.
George E. Onet, D.V.M., Ph.D.
cow in N.E. Utah, October 16, 1998.